Photovox was founded in 1951 by Mario Rossi, and is still run by his family. After its inception, Photovox rapidly rose to occupy a notable, international position in the research, planning and production of magnet heads for professional use. Photovox sound heads were even chosen by Hollywood, for the film Titanic. With the arrival of the European common currency, Photovox focused its fifty years of technical experience to serve the Euro zone; designing, building and distributing machines capable of insuring the authenticity of the euro banknote. This competence has been expanded to include money checkers for important international companies and in many nations. Our growth has continued, thanks to our ability to visualize our clients problems, and to play an active role in finding solutions for them. Photovox has also had an important role in the context of its home territory, providing an example of quality and innovation. 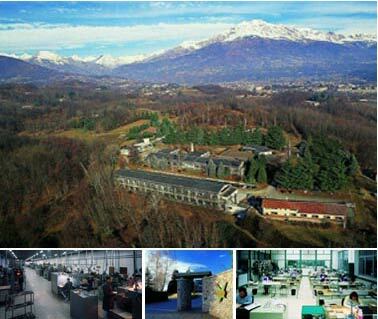 Our headquarters, in Valperga, is at the heart of Northern Italy's Canavese region. It is immersed in a beautiful natural parkland at the foot of the Mariano Sanctuary of Belmonte, a Unesco World Heritage Site.